Advertising on the internet is big business and may be something you are doing already or perhaps have considered. Or maybe you’ve assumed it’s not for you. If you want to quickly get qualified visitors to your website, then advertising via Google Ads (formerly Google Adwords) might be a good option. It’s a pay-per-click (PPC) platform, which means you pay every time someone clicks the ad to visit your website or call you. We’ll look at potential return on investment, and if the numbers work then we can run a test to see how it plays out. The results may surprise you – and if you are returning a good profit from advertising, you can scale up your campaigns. We offer full service, management or consultancy on Google Ads. We can set everything up, including landing page design for more effective conversions. 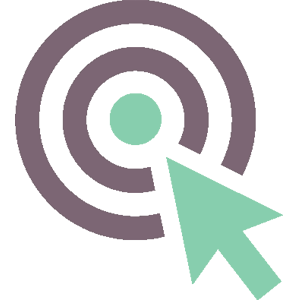 We also can advise on other advertising platforms or simply appraise what you are currently doing. Typically we’d receive a call from you during which we’d establish what your Google Ads situation is – anything from a well established user to a company wishing to give it a try. Next, after agreeing we can help you, would be a meeting at your business premises to consult about a Google Ads plan. Up to this point no money will have changed hands – we’ll be pretty sure we can help you and you’ll like our Google Ads proposal, since we will have discussed most aspects of it by this point, so we believe the risk is minimal on our behalf. The Google Ads plan will include the set-up of your campaigns, which can be done at your business premises or ours. Some clients have a particular preference – the choice is yours. Once the Google Ads campaigns are up and running we’ll be regularly checking their progress and reporting back. We’ll make changes along the line to increase their effectiveness based on data we receive to make sure Google Ads are returning the right level of profit based on your needs whether that be new clients or sales.